You may or may not know that Xen-Tan, Glamglow and the new brand Novexpert have all been brought to you by one company and one person in particular; Natalie Roche. Seeking to find the best in any given category, be it tan, masks or natural but effective skincare; Stockport-based Natalie Roche continually scours the globe to find the best performer in each beauty sector and bring it to our shores relying on her pure gut instinct and intuition that seems to have done the brand proud over the last few years (if you’re not into Xen-Tan, have a word with yourself). She’s inspiring and her passion and drive for the industry is infectious. So what was originally Skin Solutions has now been branded as Natalie Roche – For The Love of Beauty. 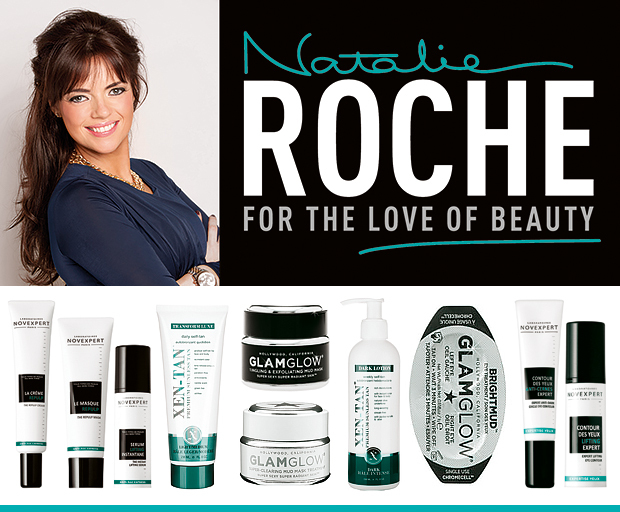 To start with, the Natalie Roche brand will set out to deliver products to the salon and professional market via a new online ordering system, but when you’re in your favourite department store and beauty boutiques buying your Xen-Tan Moroccan Tan or GLAMGLOW BRIGHTMUD Eye Treatment, remember this is who’s behind it. On a further note, there will be a new addition to the Natalie Roche portfolio next year, but I can’t tell you anything just yet. Also, there may or may not be a new addition to the GLAMGLOW family – guesses? It’s rather exciting though I assure you. This article first appeared on MANFACE written by Thom Watson. It was published on Friday 13th December 2013 and was last updated on Monday 3rd April 2017 at 3:21pm. It's categorised under GLAMGLOW, Natalie Roche, Novexpert, Xen-Tan where you'll find more related content. I use Supermud—I carry it in my barbershop—I’ve been very pleased with it. “On a further note, there will be a new addition to the Natalie Roche portfolio next year, but I can’t tell you anything just yet…” Thom, why do you tease us!